The framing of “illegal” and unwanted flora within a cultural context will draw attention to the concept of “permissible species” as a social construct. Weeds are defined by a nation's law, and what is declared weed in one place may be a precious resource in another. There is a significant metaphorical connection between this definition of “weed” and the arbitrary restriction imposed on human migration by national governments. Click on the map to discover the weeds in your area. 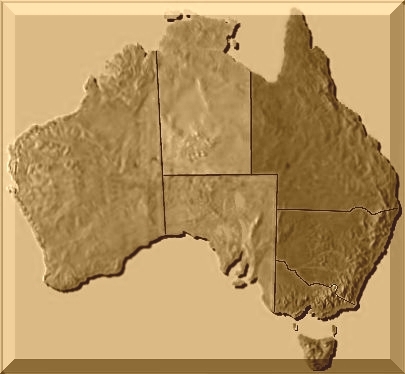 - Aboriginal sovereignty over the land of Australia where we are, how we come to be here and whose land we are on. - The ongoing discrimination, marginalisation and genocidal practice which indigenous people are subject to in this country. The elders, the ancestors, and the future generation of Australian Aborigines people, the owner of this land where we stands on. - Our shame regarding the dialogue about indigenous people of Australia and their rights, particularly what comes from the government of this country. - Our disgust, horror and sadness regarding the history of this country and the treatment of Indigenous people in Australia since invasion. - Our hope for a society where Indigenous people and culture are heard, seen and respected, and our commitment to work towards such a society. This work is licensed under a Creative Commons License. You can copy, distribute, display this works but: Attribution is required, its for Non-Commercial purposes, and it's Share Alike (GNUish/copyleft) i.e. has an identical license. We also ask that you let us know (info[at]weedyconnection[dot]com) if you link to, redistribute, make a derived work or do anything groovy with this information.